And now starting the PT17! Went with the teal blue for the fuselage and doing yellow wings. Im thinking of doing the rudder in white then painting red stripes on it. All the teal blue is printed, it really came out great! Wings are started on the press this evening, this section wont be complete until about 4 AM or so. So probably gonna call it a night early and when it is done wake up and start the next file. Hey Rifleman_btx, I might have missed it, but what brand of PLA are you using? And how many printing hours do you estimate the entire project will require? I hope you haven't had any bad prints! That would ruin my day. This one is probably going to run about 90 hours. Ive been using Solutech 1.75mm, and so far ive only had 2 failed on this plane. And probably 6 on the Cessna. All fails were my fault doing them when i was little over tired. Ive been happy with quality of the filaments. I plan to go to the PBY and then the F86. But before then my son and i are gonna start putting together our own designs in fusion 360. Starting with rehashing my N9MB project, and then the OV10. Shes turning into an airplane! I like how there is a growth in people starting to design more 3D printed planes that are less-frequently built/sold planes. 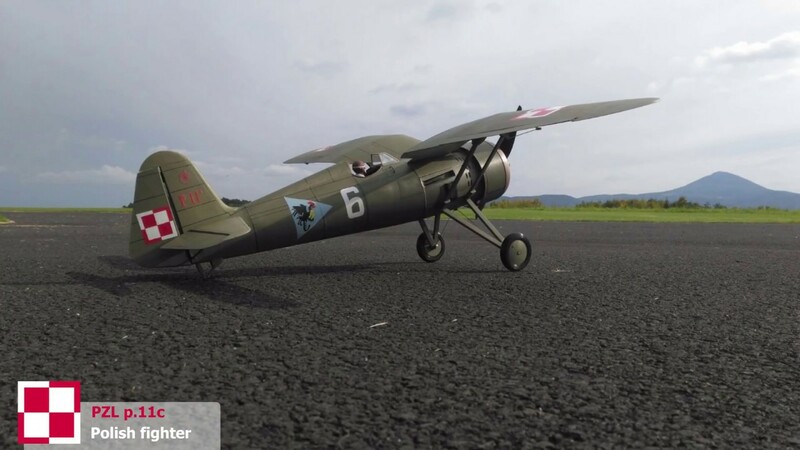 Someone just released a PZL p.11c under the "3DLabGang" section. I know for myself, I would like to design a U2 and Boeing's X32A entered for the JSF program, and possibly even try to make the 4-post configuration for the X32. 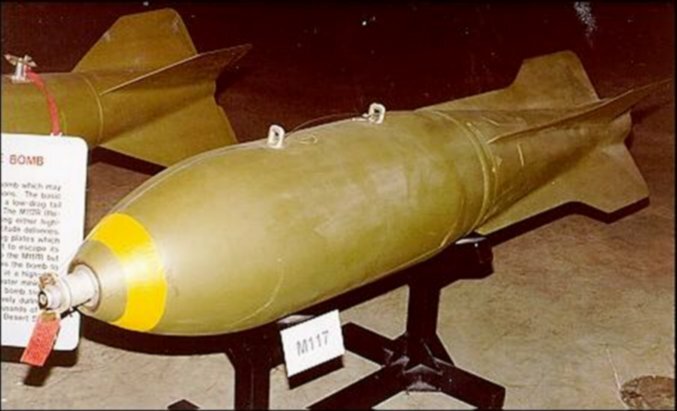 Could anyone here make a 1/9th scale M117 750LB bomb? 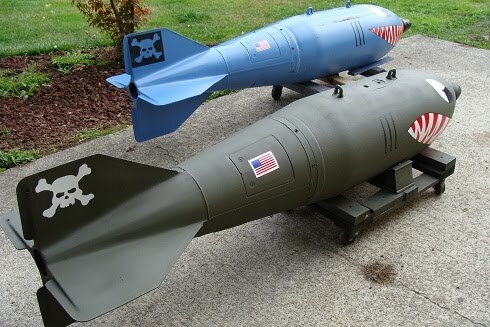 I want to make my F-86 have some ordnance. Nice Rman! It actually looks great! Can't wait to hear how it fly's. P.S. Hey Rman, know what we need? An F-100 Super Saber! Sorry for chiming in so late on your build. You were talking about buying a 3d printer, awhile back. It amazes me what your doing with it. Looking forward in seeing more projects from that machine. It's all new to me. Search on Thingiverse.com . There was quite an assortment of ordinance files. I downloaded files for everything a F-4 Phantom, F-14 Tomcat and B-25 could use. Here she is! The wheel bolts i bought were a tad short, so will need to buy little longer ones, and the seats and instrument panels are on the machine now. I've also made it take down capable, so storage and transport wont be a problem. Instead of the wrap around wire they used i made removable clips for the struts. They do work very well. All in all im happy with how this turned out. Thanks, Rman. You're giving me the bug for sure. Are you running this 3DP with a standard PC? Could a PC run more than one printer, say 3 or 4? these are the questions I keep thinking about, Gawd I'm getting hooked. Can't wait to see it fly buddy. PS, these things are going to change the world!